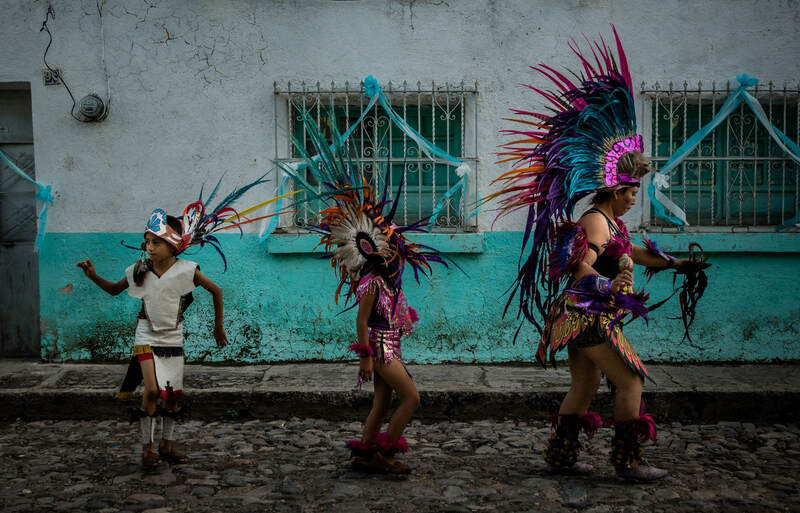 Today’s modern day pre-Hispanic dancers of Mexico are keeping alive a tradition which even the Spanish conquerors couldn’t eradicate 500 years ago: a version of the mitote dance once performed for the Aztec gods, but which now leads the most important Mexican holiday processions for the Virgin Mary and a litany of popular saints. 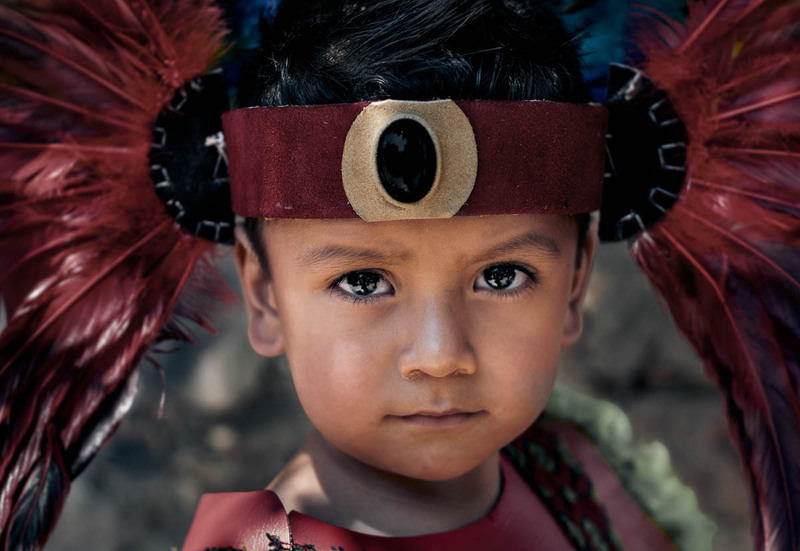 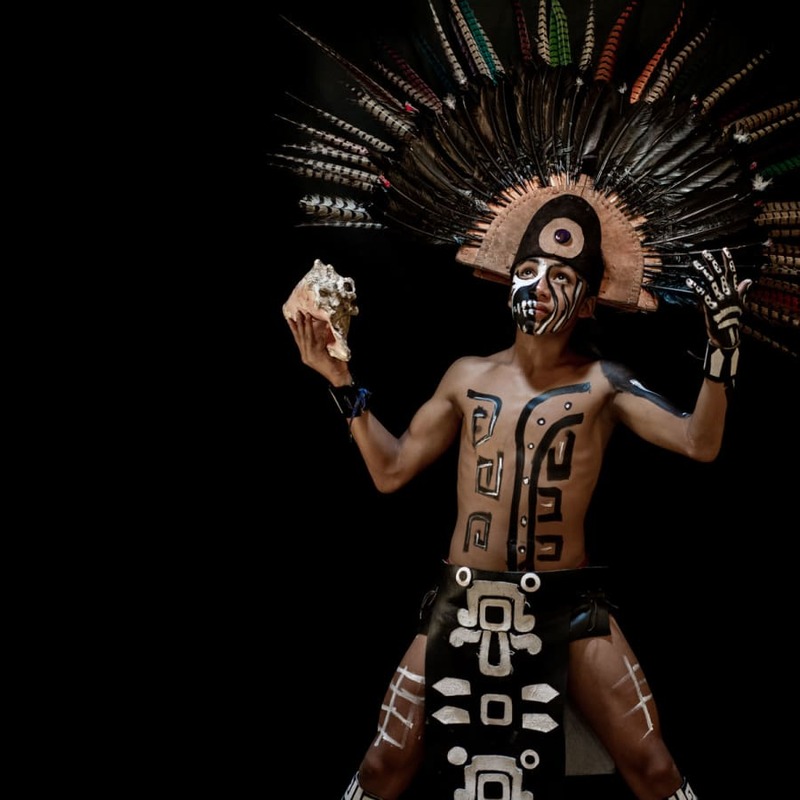 After the beginning of the Spanish conquest of Mexico, these pre-Hispanic traditions had proven too popular to be wiped out from the collective consciousness of the people. 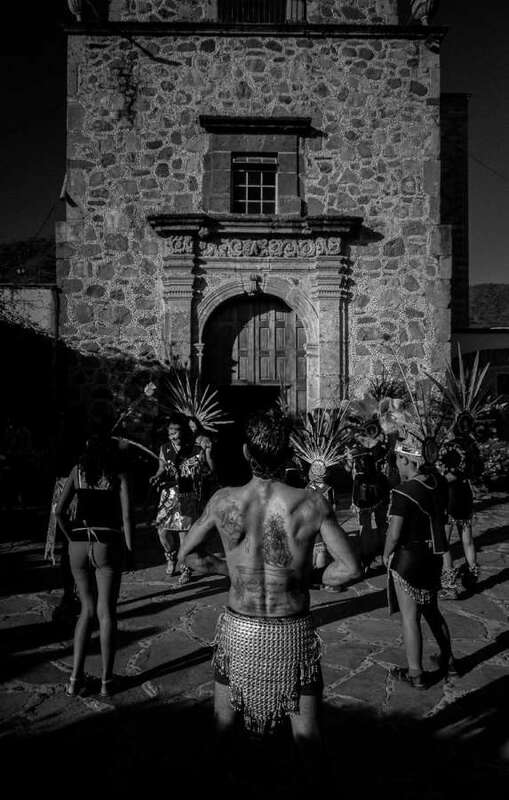 Instead, the church stripped the dance bare and integrated it into religious holidays and ceremonies still performed today. 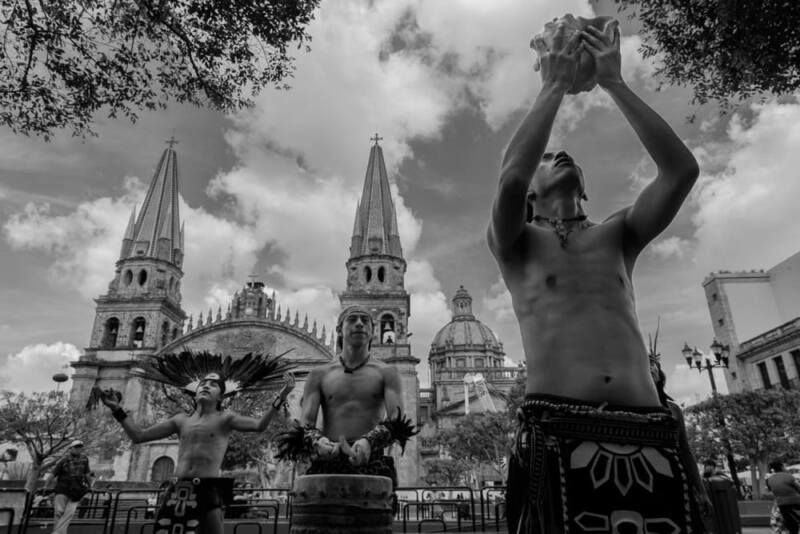 This feeling of syncretism — the combination of two seemingly paradoxical ideas — is a common aspect to life in Mexico. 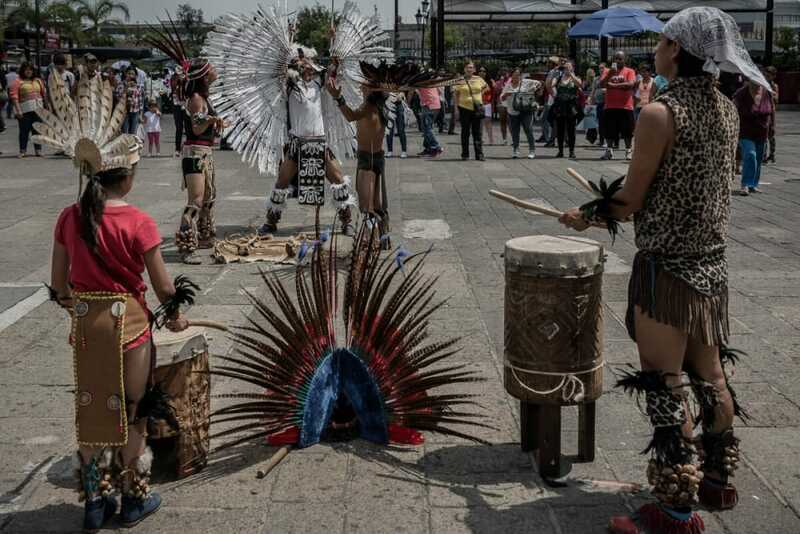 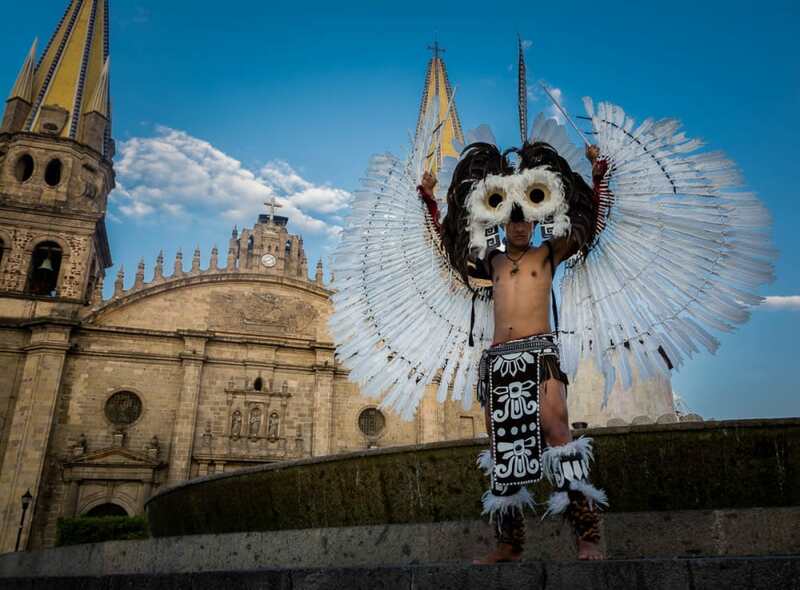 Some dancers, called concheros, perform solely for religious reasons, sometimes prostrating themselves in uncomfortable positions during prayer or falling into a meditative state amidst the drumming of the procession. 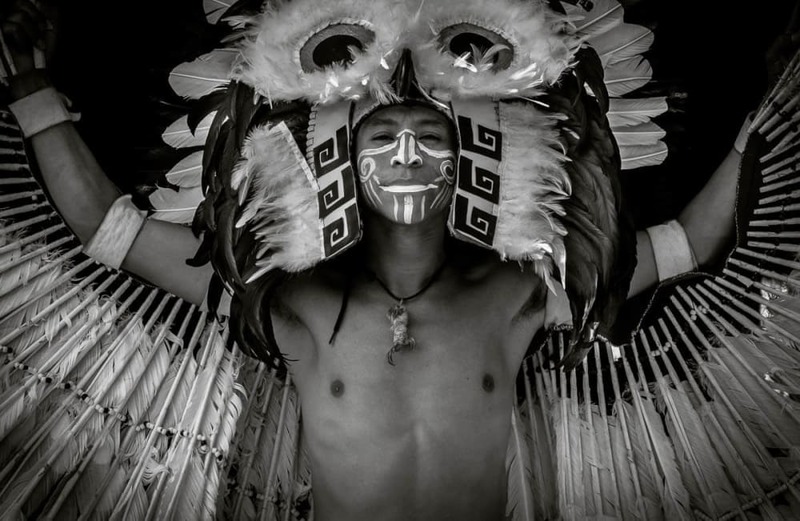 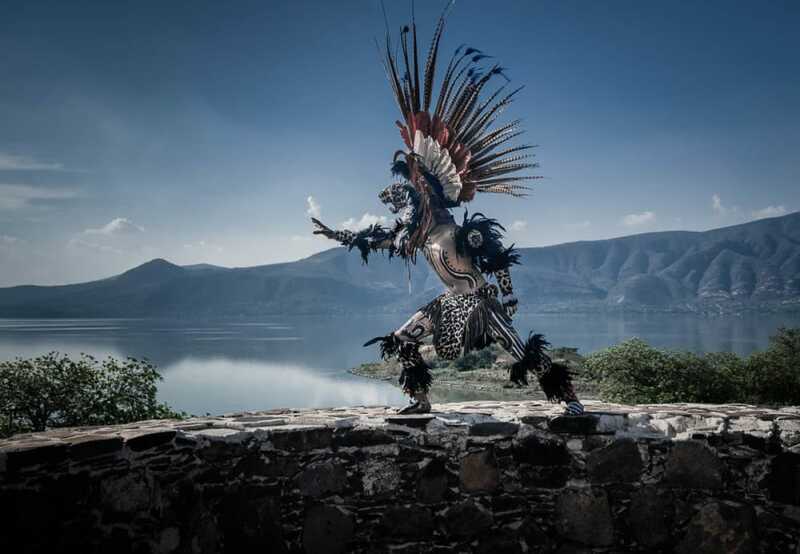 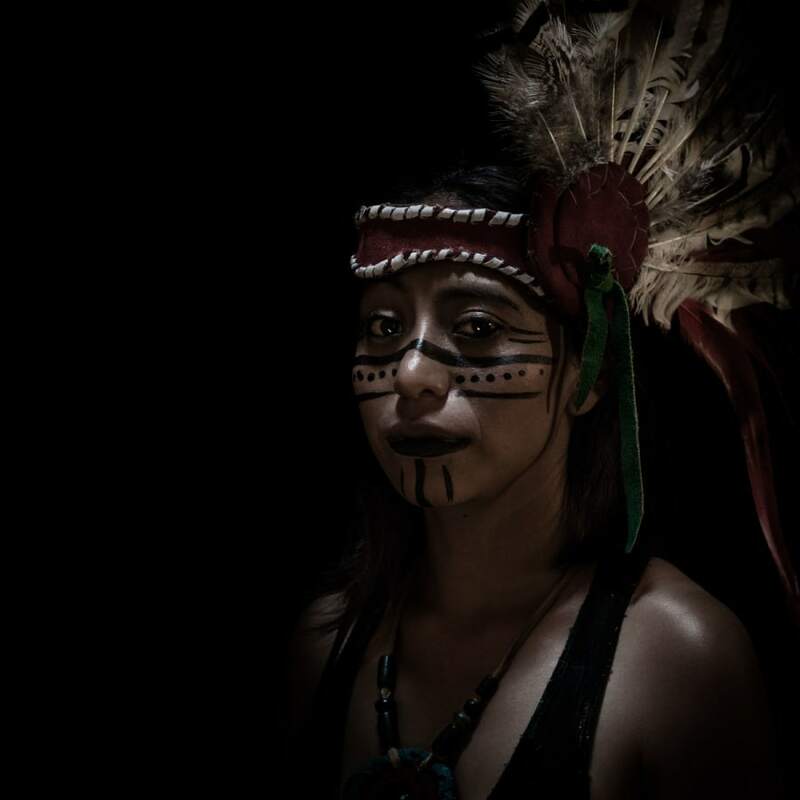 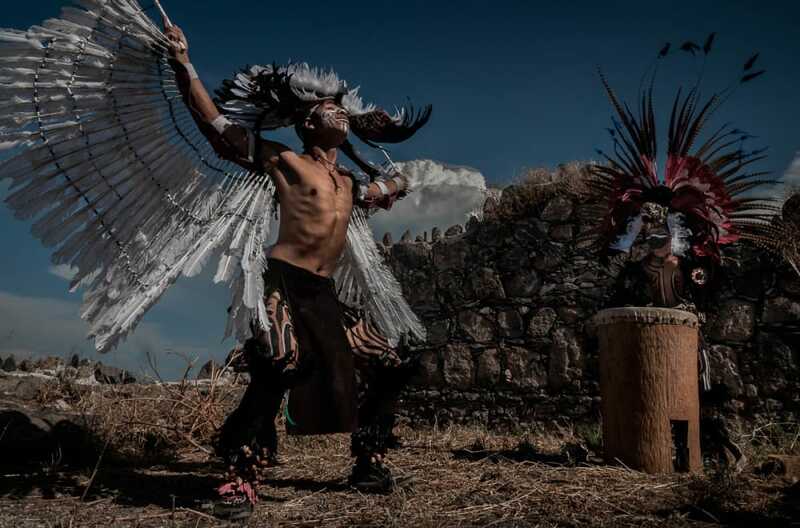 Other dancers, such as the aztecas and mexicas, are interested more in the spiritual and natural aspects of the dance. 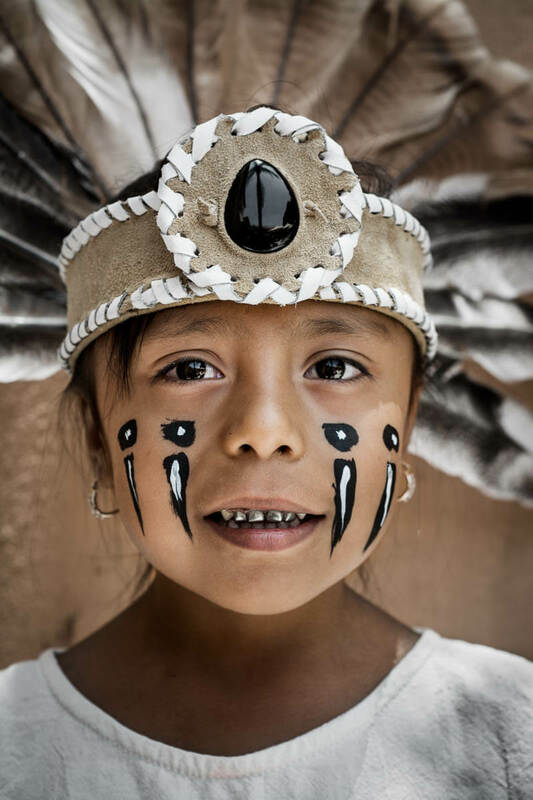 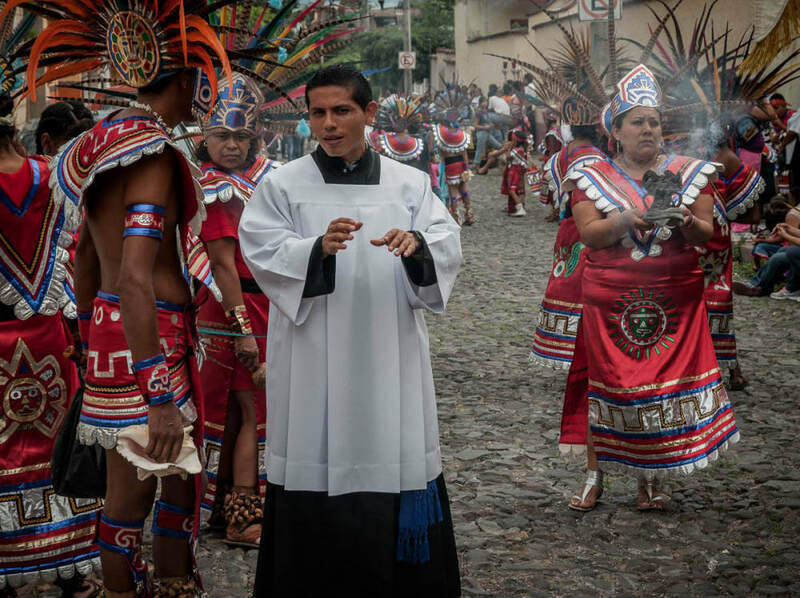 They dispense with the religious overtones, often replacing it with political, social and environmental ones, and consider la danza prehispánica to be a kind of philosophy of life and way of living with nature. 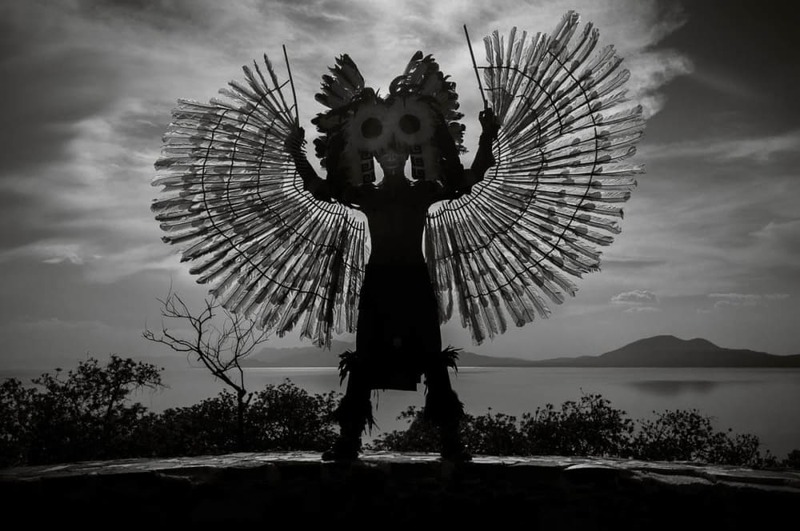 The dancers in these photos are a mixture of both concheros and mexicas, and were taken in the Lake Chapala area of Jalisco, Mexico. 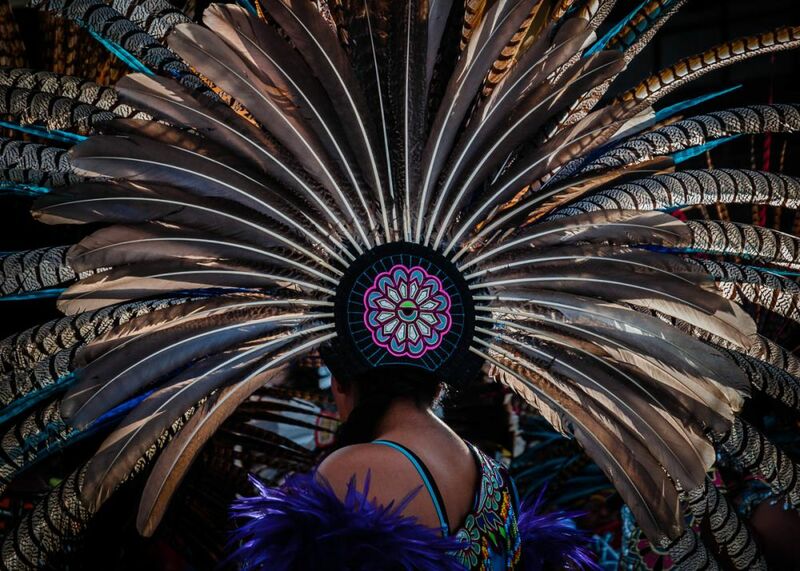 A copili worn by one of the dancers. 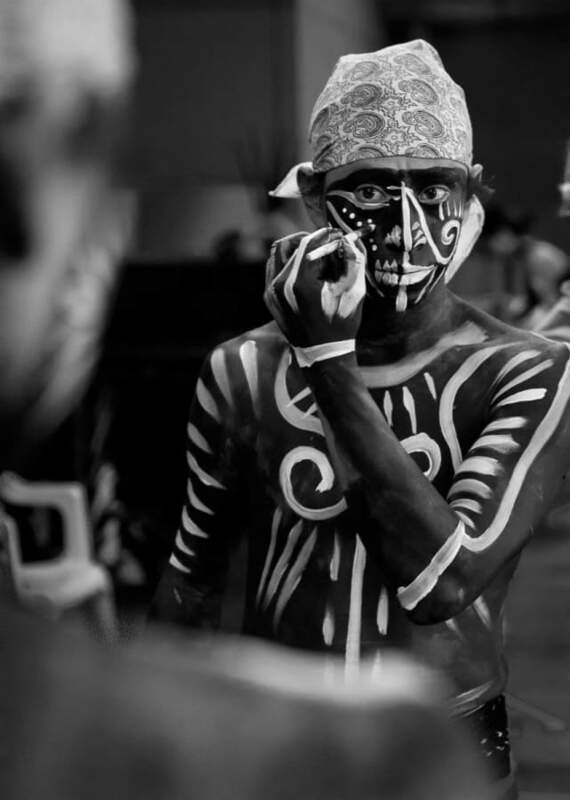 Local painter Cathy Chalvignac painted this photo, which you can see in this neat video that transitions between the photo and painting.